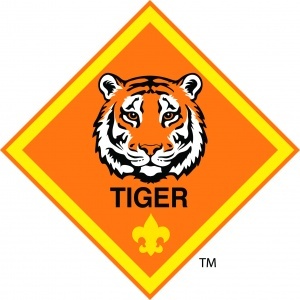 To earn the rank of Tiger, the scout must complete six Core Adventures (Backyard Jungle, Games Tigers Play, My Family's Duty to God, Team Tiger, Tiger Bites, and Tigers In The Wild) and one elective adventure. The Bear rank is earned by completing six Core Adventures (Bear Claws, Bear Necessities, Fellowship and Duty to God, Fur, Feathers, and Ferns, Grin and Bear It, Paws for Action) and one elective adventure. The Webelos program is different from the Cub Scout den program. The activities are more challenging than what the younger boys do. Webelos activities prepare the Scout to become a Boy Scout. The Webelos rank is earned by completing five Adventures (Cast Iron Chef, Duty to God and You, First Responder, Stronger, Faster, Higher, and Webelos Walkabout) and two elective adventures, and being actively involved in the den for at least three months. The Webelos II / Arrow of Light program is for boys who have either earned their Webelos rank or who have just begun their scouting adventure in 5th grade. To earn the Arrow of Light rank, the scout must complete four Adventures (Building a Better World, Camper, Duty to God in Action, Scouting Adventure), three elective adventures, and be actively involved in the den for at least six months.